For a common Bhutanese, it might be incomprehensible why foreign tourists want to stay extremely quiet while trekking and hiking in Bhutan’s best trails including the one to famed Tiger’s Nest Monastery. Well, the quietude that this resplendent country offers is unlikely to be found anywhere around the world. The dense forests, the lofty snow-capped peaks, and the vast fields, all create a first impression difficult to be forgotten. 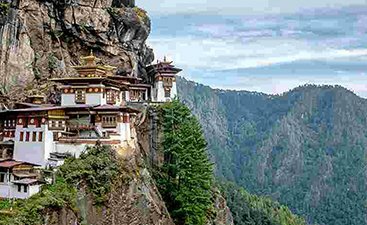 Bhutan, the country that evaluates Gross National Happiness as its prime economic success, is truly a holiday travel destination you may not want to miss. Tucked between India and China, this country is indeed a slice of heaven for anyone in search of beauteous holiday destination which can be one’s little getaway secret as well. 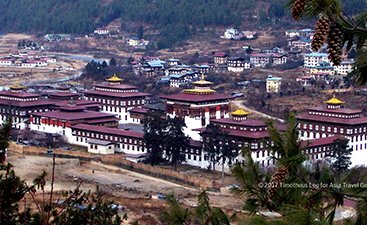 Bhutan is a land of imposing dzongs (forts) and monasteries; a stunning landscape that ranges from thick foliage to pretty fields; and a culture that has plenty to impart. However, don’t mistake Bhutan to be only a rustic and quaint destination, this lovely undogmatic country will not hesitate to embrace anything that is new and happening. 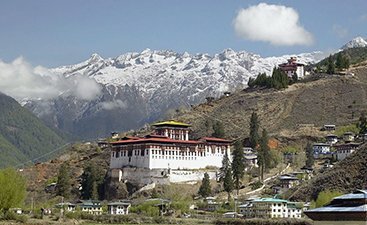 Expect Bhutan vacation travel guide to include classy clubs and pubs, conventional singing bars and plenty of fine dining places to convince you that this must-visit country knows how to have/offer a good time. For family vacations, there can be no better tourism destination like Bhutan that is steeped in history and culture. Also being a Buddhist country, it offers the perfect settings to those inclined towards spiritual tours. This tiny Himalayan country also offers its visitors with delectable food that not boasting about it back home is almost impossible. Adventure lovers have a plethora of treks to embark on whereas the honeymoon couples can stay satiated with the scenic settings and brilliant hospitality on tap. Bhutan is a paradise, and there is no denying in it, if you haven’t visited here, then you have indeed missed the finest tourism place in the world. Dochula Pass is the highest point (3140 m) falls on the route from Thimphu to Punakha and is one of the most beautiful attractions in Bhutan for tourists to see. Bhutan is known for its peace, solace, and spirituality. Get away from urbanization and spend some peaceful time here. High mountain peaks and the unexplored Himalayas make Bhutan one of the best places for trekking, hiking & other adventure activities. Bhutan is blessed with amazingly beautiful species of birds and when in Bhutan, a tourist must engage in bird watching activity. 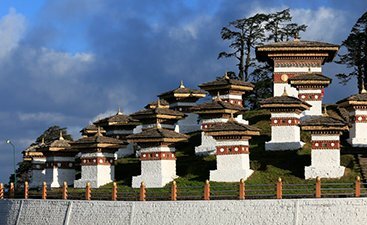 Bhutan is one of the best countries to experience the rare and unique wildlife animals like red panda, Himalayan musk deer, leopards and many more. Merry, vibrant and joyous, Bhutan’s festivals attract a number of tourists every year. Every year many trekking enthusiasts visit Bhutan to set their foot on its rugged Himalayas. Bhutan has excellently preserved its rich cultural heritage which can be seen in their festival celebration and lifestyle. Except for India, Bangladesh and Maldives, citizens of every country require to apply for the visa of Bhutan in advance. 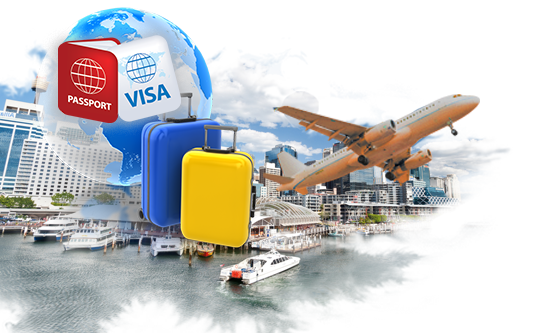 The visa is processed online through Tourism Council of Bhutan (TCB). The nationals of India, Bangladesh and Maldives can acquire visiting permits on arrival in Bhutan. Read to find details on Bhutan Visa regulation. 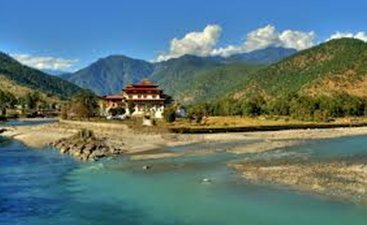 From the month of February to April and then October to December, it is considered the best time to visit Bhutan. The late spring season is perfect to witness Bhutan clad in rhododendrons. 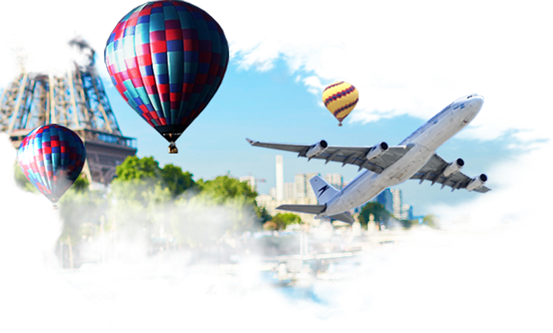 The monsoon season is also feasible to visit the country.